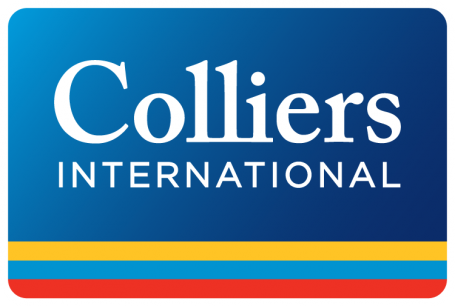 Warsaw, May 6th, 2015 – There is growing evidence that Europe’s logistics landscape is evolving as predicted in Colliers International’s Industrial and Logistics EMEA report series. Distribution channels continue to shift from west to east into CEE, supported by improving infrastructure, trade growth, market demand and increasing supply chain efficiencies. This is coupled with an increase in manufacturing running north to south, structurally altering the European logistics landscape. Colliers International’s review of Europe’s main ports shows there have been significant changes in trade since 2010, in terms of the volume of TEU containers handled. Ports servicing Northern Poland and Germany have been at the top of the pile, which is helping drive logistics demand across northern Germany into Poland and the core CEE markets. Gdansk (Tricity) has seen trade volumes increase by 133% since 2010, putting it on a par with Marseille in France. This growth story is second only to the best performer, Piraeus port, Athens which has seen trade increase by an impressive 276% putting it on par with Felixstowe, the primary UK port. The growth in trade in Greece, Turkey and also in Constanta, Romania, reinforce the shift in trade via the Mediterranean up through south eastern Europe, which is running in tandem with a significant shift in manufacturing growth in south east Europe. Low labour and operational costs, highly skilled workforce and increasing pan-European – and global – connectivity, is driving this growth. The other main growth ports since 2010 have been Marseille, Genoa and Algecira, demonstrating further the shift in Mediterranean trade servicing Europe. Over the same peiod, the traditional North sea ports – Le Havre, Antwerp, Zeebrugge and Rotterdam have seen TEU volumes remain stagnant or decline over the same period. In the UK, London has been the biggest growth port, whilst Felixstowe, Southampton and Liverpool have seen activity decline. “Just as the factors which influence key distribution centre hub locations is changing, we are seeing an urban evolution in terms of the demand for modern industrial space. This is being driven by e-commerce, new forms of urban transportation and technology which are influencing our business-to-business and business-to-consumer driven clients. This is one of the most dynamic and exciting sectors to be engaged in. By working on innovative solutions with our clients, we’re re-inventing modern retail,” said Mr Davies.